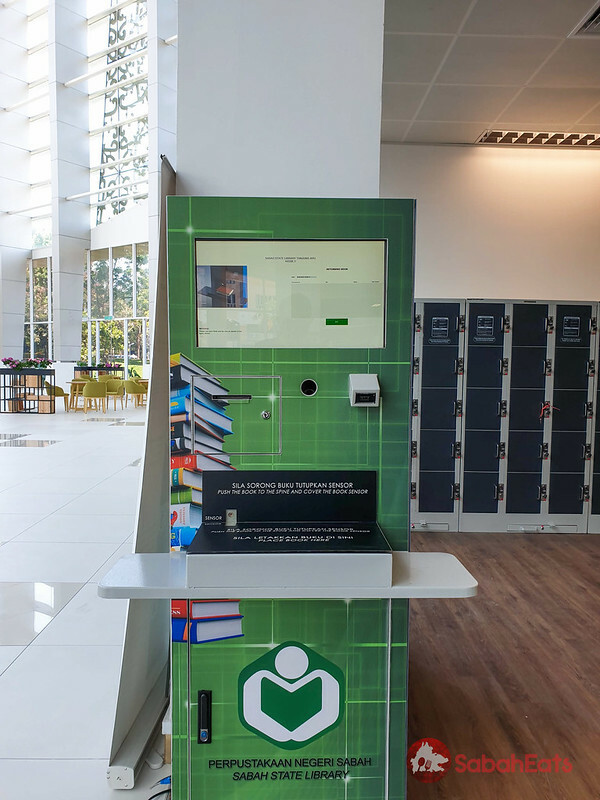 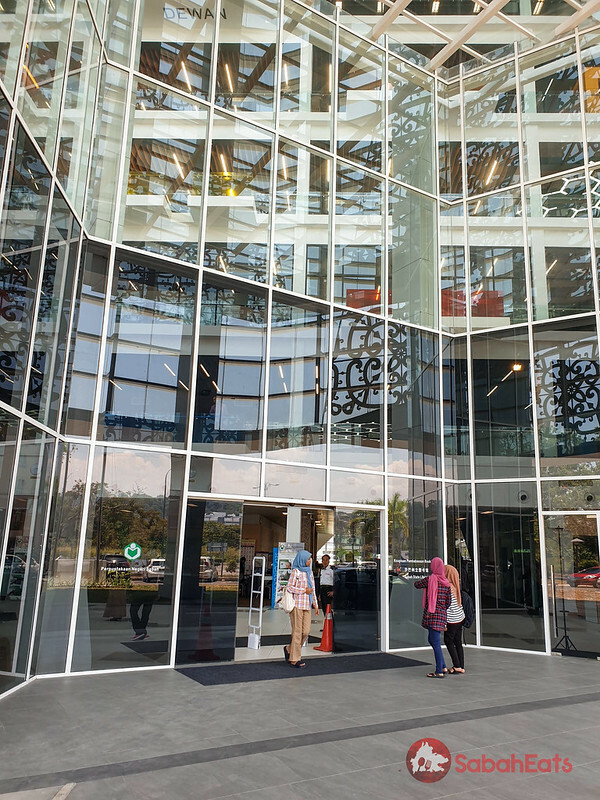 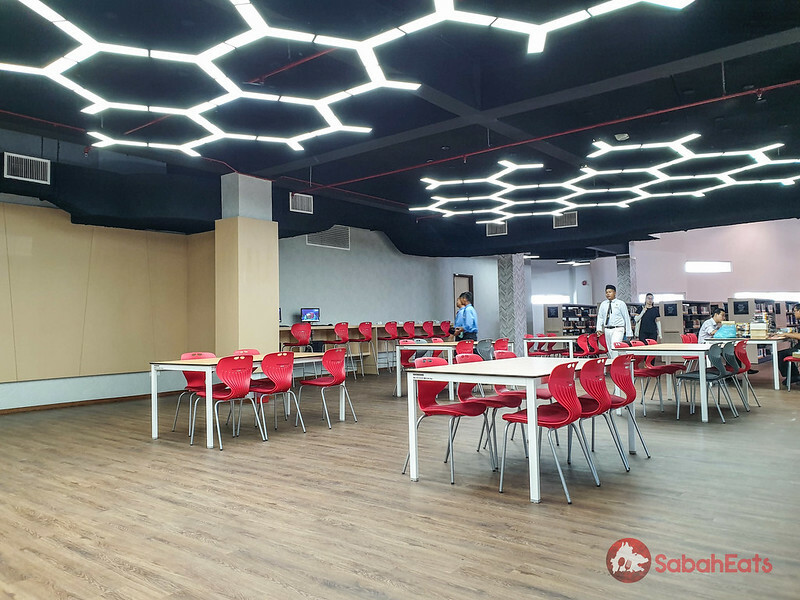 The new Sabah State library opens its door to the public on 1 April 2019. 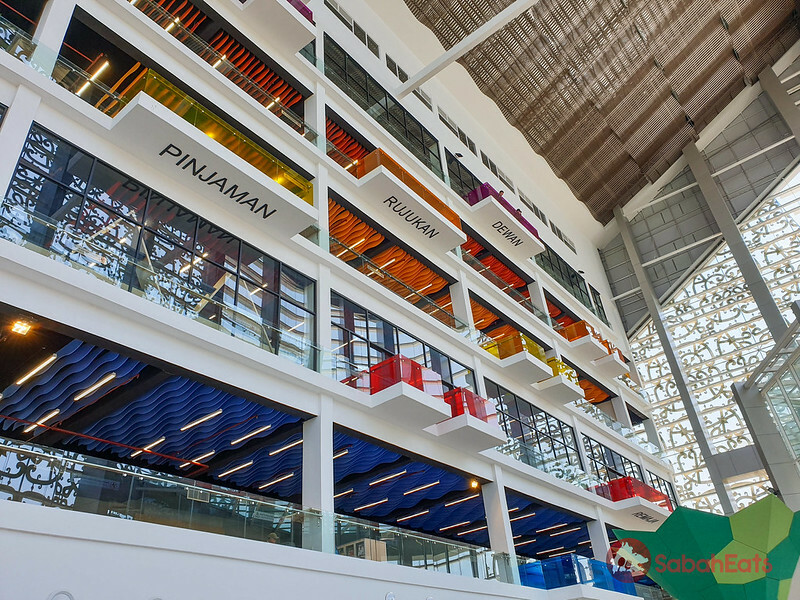 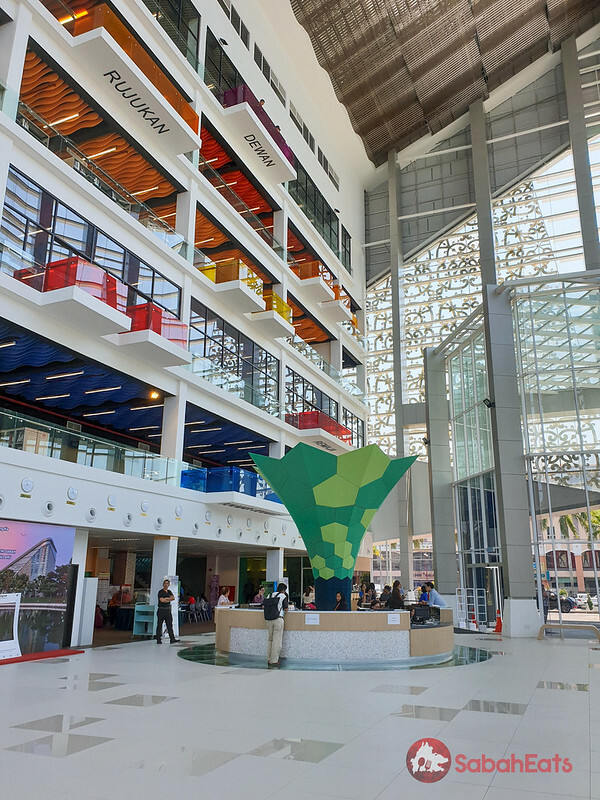 The new State library is located beside Perdana Park at Tanjung Aru, replacing the previously demolished library at Kota Kinabalu City Center. 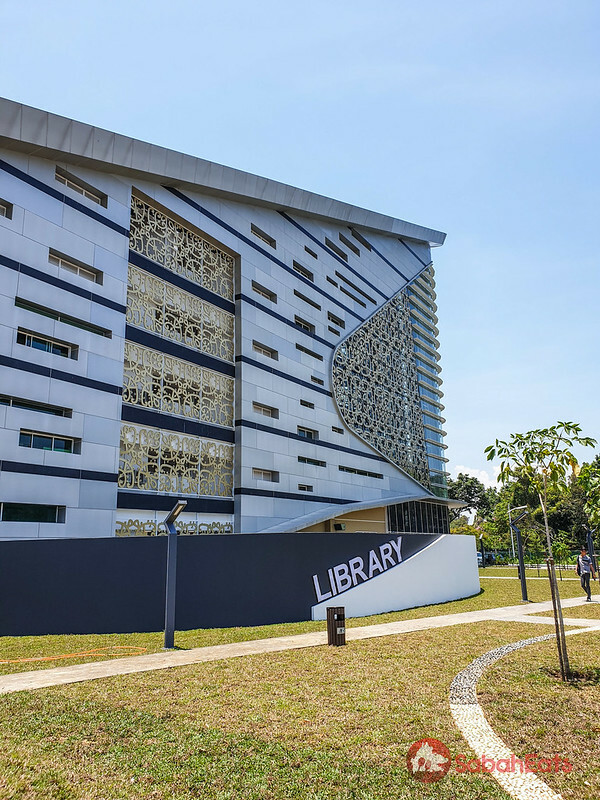 The uniquely designed, Tanjung Aru library spans a built-up area of 62,000 square feet. 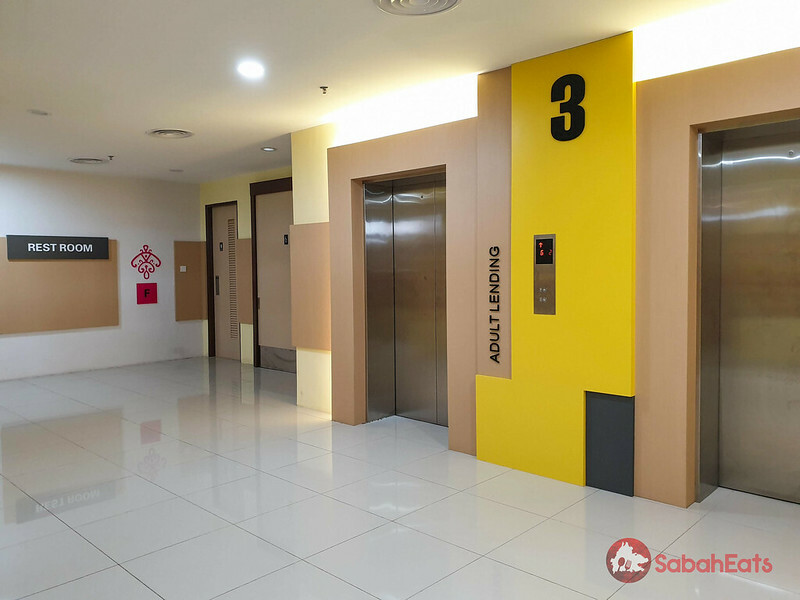 There are six floors at Tanjung Aru Sabah State Library. 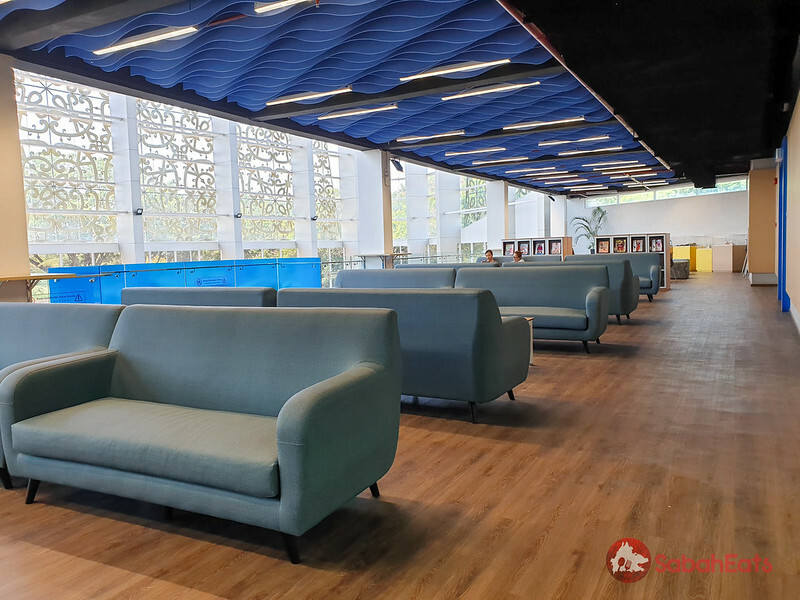 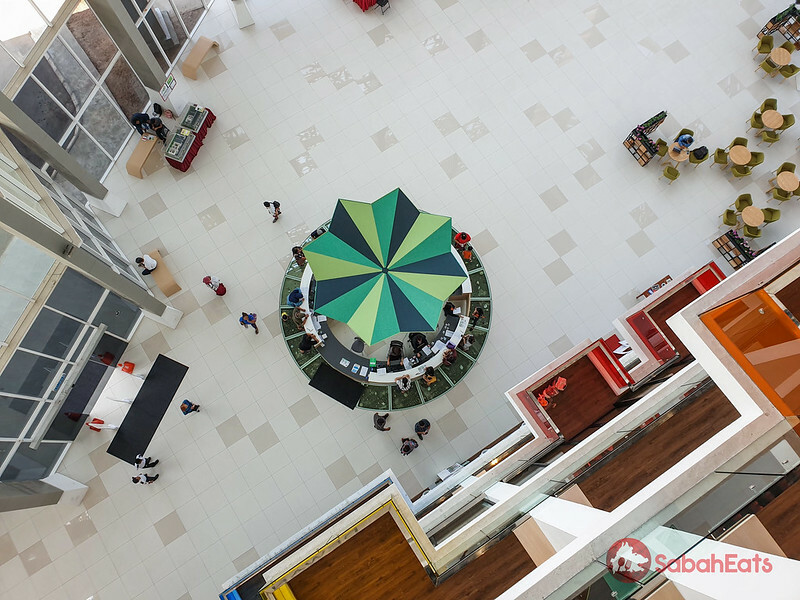 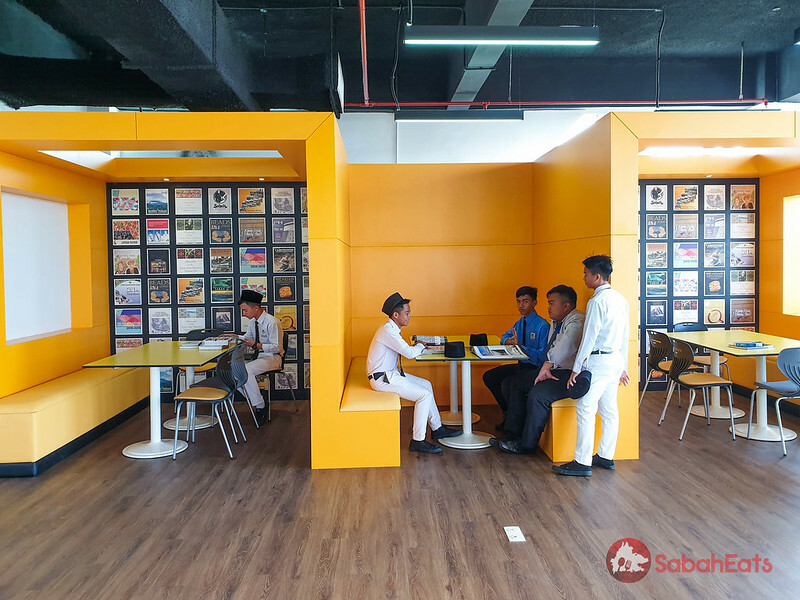 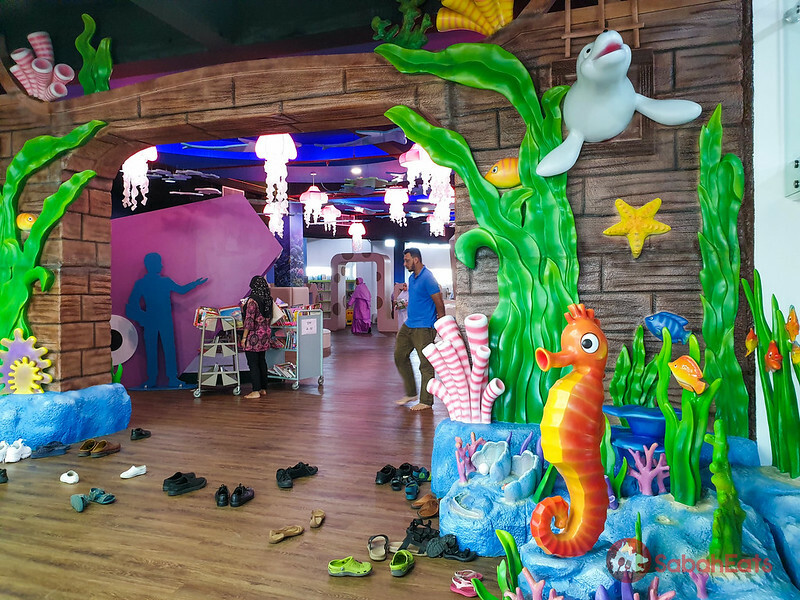 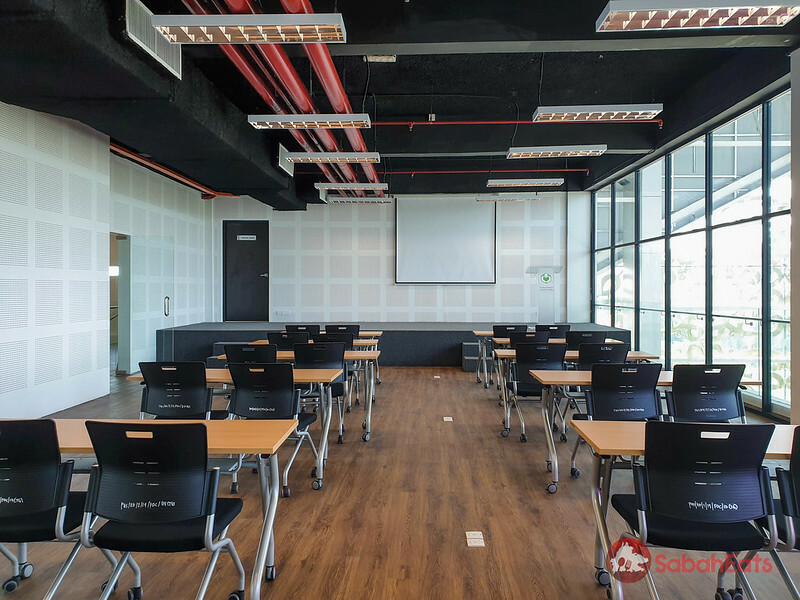 The main lobby is located on the ground floor, Children section on the 1st floor, Teen library on the 2nd floor, Adult Lending on the 3rd floor, Adult reference on the 4th floor and multi-purpose room on the 5th floor. 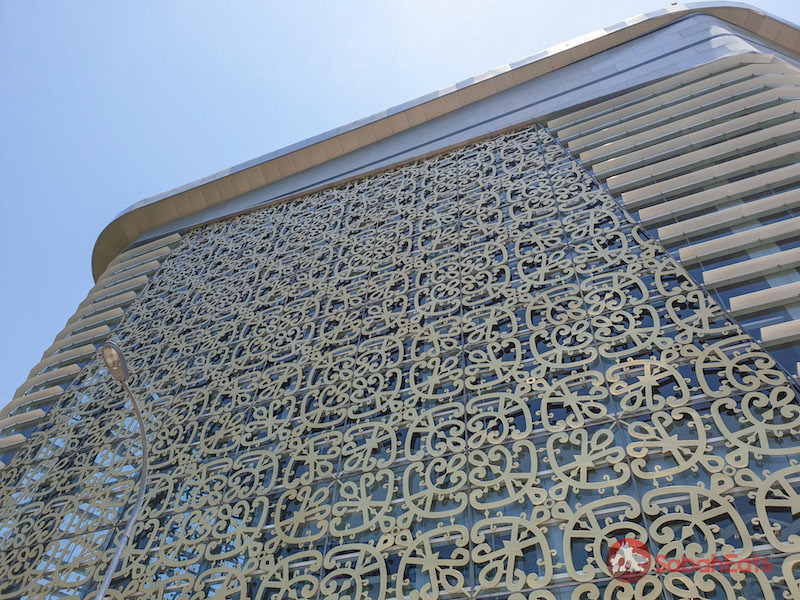 Motifs of Sabah’s ethnic communities are incorporated into the design of the building. 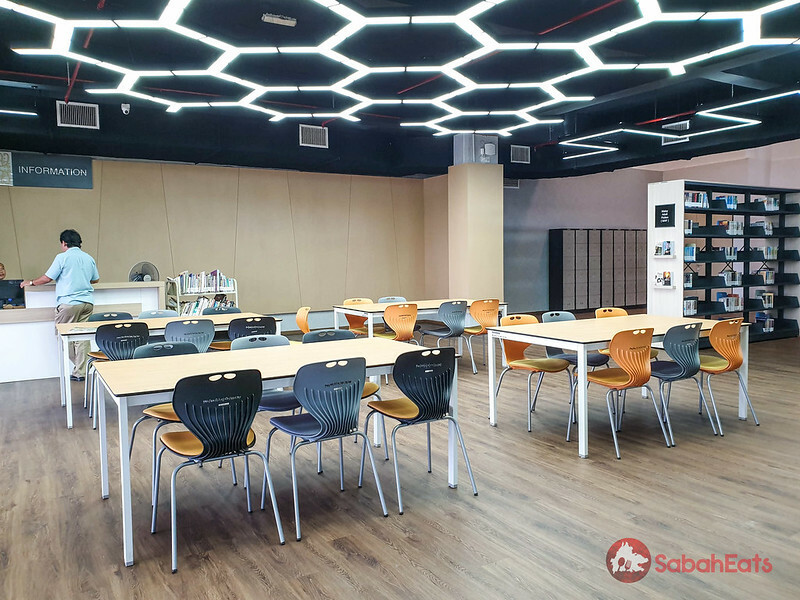 High ceiling and glass panel provide airy and natural light. 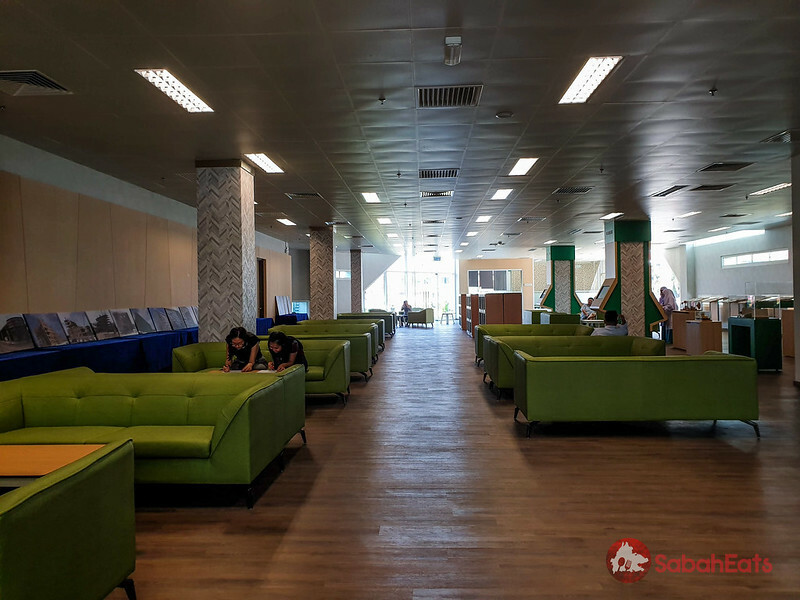 Ample seating areas are provided across each floor. 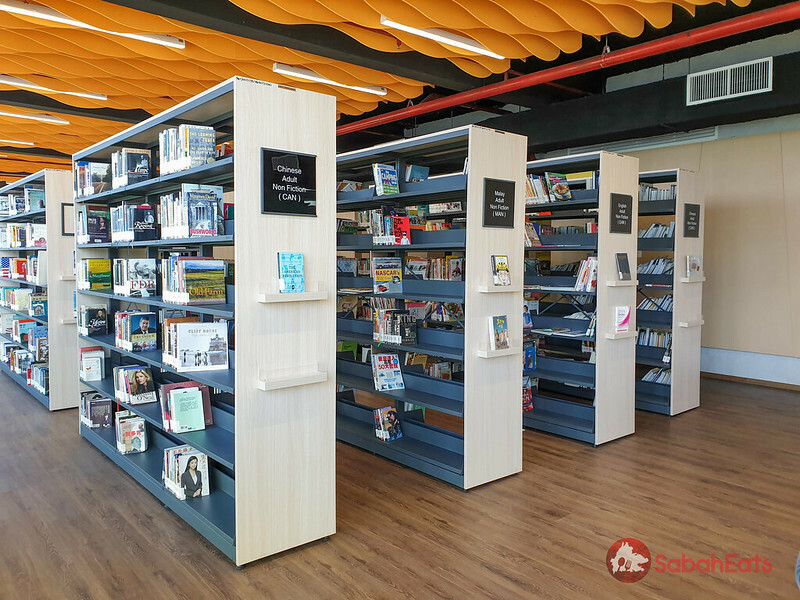 Opening hours: 9am to 9pm daily, including public holidays.